Social media platforms became a part of everyone. People love to use these platform to share their thoughts, ideas, lifestyles and even business!!! Yeah business, you heard me right. Maybe you wonder how social media platforms leads your business rate, but it is the truth because millions of people are active in all social media platforms and if you share or promote your business growth or services in that it will take only a few minutes to reach your business details to everyone in the world. 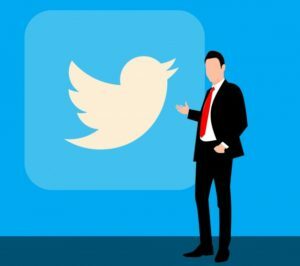 There are lots of social media platforms that are suitable for your business growth promotions, here we are going to discuss importance of twitter for business. The followers and those who come to your profile must be clear about what do you offer and where is your exact location. For this proper bio in your profile will help. For example, if you are running a dress shop you must specify what kind of dress and suitable for which age and gender. Then give the exact location details too. It will be easy for clients to visit your shop. There are millions of people in Twitter but don’t add followers whom nothing to do with your business . To make it more clear take an example like you are running a dress shop and you have a collection of outfits that are suitable for ladies who are in the age between 20 and 45. If you add followers who are not in this age limit and not women, then there is no use of your twitter account. You can’t find any valuable customers here. So find followers who are suitable for your business growth. Add ladies who will come in the age limit. Location is also an important thing. Suppose your shop is in ‘xyz location’ then concentrate on the people who are in that location and the nearby areas of it. Those who are far away from your location is not going to visit your shop. ⦁ Tweet everyday – Importance of Twitter For Business?? To make your profile active and healthy you should tweet every day. But tweet only relevant topics that related to your business. The eyes of followers will hook on the relevant and useful information and they will click and chances of retweet are also possible. The interaction between followers and you are important. If anyone asks questions about your product or appreciate your product or services give back proper interaction and this will lead to healthy customer relationships. Retweeting is also good for your profile. This will lead you to gain more followers. While you share your product details to twitter use proper hashtags with it. That is if you are sharing the details about the dress brands in your shop then use hashtags that are relevant to the content like dress, brand, branded dress etc. By using hashtags you get more visibility. 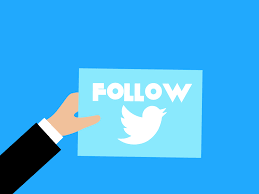 The users in twitter do searching by typing hashtags, so those who are interested in purchasing branded dresses use the hashtags and they will reach to your profile. This can be from anywhere in the world. People will easily get bored when you share heavy contents and gradually they will lose their interest in visiting your profile. So never forget to share outstanding videos and attractive images that are related to your products. Images and videos can easily catch the attention than a paragraph of words. Followers will easily get attracted to it and they love to visit your profile. If they like your product, definitely they will come to purchase. Sometimes you may fail to find the followers from the location you are focusing. At this time you can go with the option ‘promotion”. Here choose a tweet that you want to promote and click on promote this tweet. After this select the location you want to focus then select the budget and confirm. Now this promoted tweet will be visible in the location that you have targeted. Twitter analytics will help you understand which days are best for the tweet, which content or what content favored your followers etc. So make proper use of it and you can gain a very good lead in your business. Hope you get an ideas about importance of twitter for business. Twitter boosts the overall business. So use twitter in all aspects for the business growth.